This is one of the product samples that I received this time around with New Beauty Test Tube. I AM IN LOVE!!! Is it worth it? YES!! You put the cream on damp hair and leave it in for 5-10 minutes then rinse it out. The oil then goes on the clean damp hair and you dry and style as usual. The result? WAY less frizz and more strait hair. Plus the smell is intoxicating. Seriously, I love the smell. I even skipped the oil one time and just did the mask and let my hair air dry and it looked great! Let's just say I would NEVER go with out my straightener, but I actually didn't need it this day! Have any of you tried this product? Were you as happy as me with it? I have never tried it! But I need something to help with the little "kinks" in my hair if I don't get it straightened out good enough. I will have to try this. Also, I love good smelling hair products!! Have you tired anything that helps your hair dry faster? My hair is taking way too much time to dry! Thanks! LOVE this stuff!! My hair gal sold me on it! 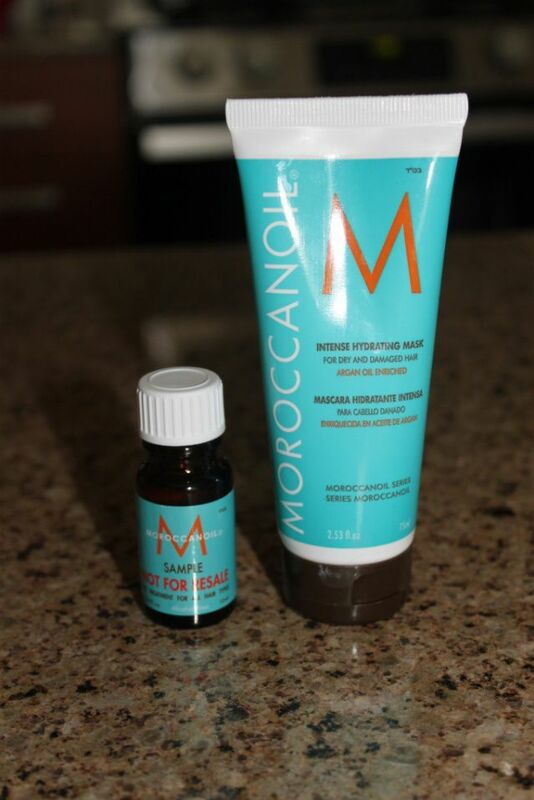 I love moroccan oil! the stuff is amazing! !